SEO rankings can make or break the success of your eCommerce business. But you can boost your on-page SEO with some simple fixes that together create big results. Our resident SEO expert and founder of 180Marketing, Jeff Oxford, drops some optimization knowledge in the first episode of our SEO series. Jeff talks about recent improvements to search engine algorithms that have changed the SEO factors you should be focusing on. We talk about branding, how to handle meta tags, headings, and paragraphs, and why content is still king. Jeff also ranks each on-page SEO factor out of ten, so you know just which elements to polish up to boost your clickthroughs, traffic, and engagement. Andrew: Welcome to the eCommerceFuel podcast, the show dedicated to helping high six and seven figure entrepreneurs build amazing online companies and incredible lives. I’m your host and fellow e-commerce entrepreneur, Andrew Youderian. Hey, guys, it’s Andrew here, and welcome to the eCommerceFuel Podcast. Thanks so much for tuning into the show today, and today I…we’re gonna be talking about something that I used to know a ton about back in my earlier days of e-commerce, and my knowledge has waned quite a bit. So I figured it’d be good to bring someone one to talk much more currently and intelligently about the issue. And that somebody is Mr. Jeff Oxford, the man behind 180marketing.com, behind Linkhunter.com, and also our SEO expert in the e-commerce field community. Jeff, welcome to the show sir. Jeff: Thanks for having me, Andrew. Andrew: Yeah, it’s good to have you on and specifically we’re gonna be talking on-page optimization like I mentioned, but it’s kind of cool because we’re gonna be, we’ve been working together on the SEO front to kind of give, you know do some optimization and some work on E-commerce Fuel. So we won’t get too into the weeds, but it’s cool because it’s working gonna be able to talk about in context of all the work we’ve been doing together. Jeff: Yeah, absolutely been working together these past few weeks doing some cured research, optimizing pages and content, and looking for some website structure improvements. Andrew: Jeff, maybe we can transition into talking specifically about on-page optimization, but from a keyword usage perspective. So I’m curious to hear your thoughts on this, because like the way I used to think about it with you know with the keyword was you know, obviously you want the keyword in the title super important. You want it in the meta description, you want it in the heading, and you want it at least once kinda in the body of the article. There was the issue of prominence, where the closer up to the front it was, the better in kind of all of those regards. And that was something where, you know, that was kind of the standard thinking you know maybe four or five years ago. Is it still? And I kinda glossed over it pretty quickly on the high points, but is that still fairly, is it really important? You know you’re thinking about Google and how sophisticated it’s become and how smart it’s become at reading between the lines and understanding meaning and intent, as opposed to just raw keywords. Is that still crucial, like what’s your approach to this? Jeff: Yeah, that is a great question. And you know, Google is getting smart and smarter every year. They got teams of people with PhDs, whose sole purpose is to have the most advanced search engine that can understand content and user intent. So I’d say it’s definitely better than it was five years ago, but I still think there’s room to go. I mean, there’s I’ve seen so many times where you know, you can have great written content, but you aren’t ranking well. And just making sure you have those exact keyword phrases mentioned a few times can resolve an increase in traffic. So, yeah it’s gotten a lot better than it used to be, but it’s not perfect. So that’s why we still wanna make sure we have our keywords in there, and they’ve had updates recently like the RankBrain, and Hummingbird, which both were catered towards improving semantic search so it can better understand what people are searching for. But we still wanna make sure we’re doing kinda things you mentioned and have our keywords in there, make sure we have all our bases covered. Andrew: What about, what about prominence? So…if you’re listening and you’re not familiar with the concept of prominence. That’s how quickly your keyword appears. So is it at the front of the title, or it’s at the end? Is it the front of your H1 take, your title take? So when I say title, there’s a meta title, and that is actually what like shows up in the search results. That’s also what shows up like at the top of your browser at the top of Chrome. And then there’s the H1 title, that’s like the blog post that a lot of times are the same, but it’s the actual kinda the H1 large text that appears at the top of the category of the blog post page. For both of those, is prominence still important? Like does it matter if you were, let’s say you were selling you know, juicing machines. Does it matter if juicing machine is the very first two words of the title, or is it a big deal if it’s you know, four five words in? Jeff: Yeah, so great question. Let’s start with the title tag, so I’ll say it’s not as important as it used to be. But even now in 2017, the correlation studies we’re seeing show that having it closer to the beginning of the title tag can help with rankings. So when I’m optimizing a title tag, I wanna make sure that we have I have the exact keyword phrase in there, it’s as close to the beginning title tag as possible. It doesn’t have to be the very first word or phrases, but as long as it’s closer to beginning that’s gonna be a positive ranking signal. And what is even more important today in 2017, is make sure it’s compelling. So, it could be using numbers like you got a category page. It could be like the top 17 laptops of 2017, that’s probably gonna be a lot more compelling and get higher click-through rate than just “Best laptops”. So numbers can help, value propositions, if you offer free shipping, putting that in the title tag can also increase your click-through rate. So it’s not just about quid usage anymore, it’s also about writing compelling titles and headers that’s gonna get clicks and get you more traffic. Andrew: And what about branding in terms of the title? Like for a while you know with my old store, in the title tag in kinda at the last let’s say third of the title tag, I’d reserve it for like free shipping and no tax. And then for awhile, I changed that back to like let’s say, the name of the actual company for branding purposes. So, is it…any thoughts on I guess it just depends on, it probably just depends on market and how much of a commodity you’re selling, versus how much of a branded product you’re selling. And branding versus direct clicks I guess, but do you tend to skew one way or another in terms of putting like thoughts on putting the company name in the title, or is…what do you think about that? Jeff: Yeah I’d say it’s probably for most e-commerce store owners and most websites in general, it’s probably not gonna make any noticeable difference in either way. However, I’d say if you have a business that does have a recognizable brand and you’re well known, then it makes this a lot more justification to having the name of your brand at the end of the title tag. So for most people, it’s not really gonna matter, but if you have invested a lot and have lots of brand awareness, then you can benefit from that by mentioning at the end of the title tag. Andrew: Perfect, so great. So things about title, maybe Jeff walk me through what kinda you were thinking in terms of and kinda what the kind of standard thinking is today on meta tags, heading, and paragraphs. Jeff: Yeah, so let’s…we talked about the title tag, and one more thing I’ll mention about the title tag is make sure if you’re optimizing your title tags, they all that you check to see what that page is ranking for it beforehand. The last you want is try to optimize it for one keyword, and lose your rankings for another keyword. That’s always important to see what you’re already ranking for. Now, with meta descriptions, the best way to describe meta descriptions is it functions just like Adwords, adcopy. Google and search engines are not really looking to see how you’re using the keyword in there to improve or decrease your rankings, it doesn’t really have an impact on rankings at all. But what it does have impact on is your click-through rates. So I know a lot of people that are probably listening are running ads on Google AdWords, and I’m sure they’ve probably seen first hand that copy use and your Ad Words ad copy can have a huge impact on click-through rates. And that’s exactly how I like to approach it with meta descriptions. You wanna make sure we have the keyword mentioned at least once. And the reason we do that is because Google’s gonna bold that and it’s gonna stand out to the user. And then also incorporate value propositions. So this could be things like you know, free shipping, lowest price guarantee, same-day shipping, anything that’s gonna incentivize people to come to your website where someone else is gonna help with their click-through rates. And then I always like to end with a call to action, just because there’s been you know study after study that shows having some type of call to action can help increase click-through rates. So this could be something like, you know “Shop now, click now to learn more. Click more for product details. Click now to browse.” Things like that can also have a positive impact and a click-through rate. Jeff: So, title tags, it used to be based off character limit. Now it’s based off pixels. So for example, if you have a capital “i”, you can have a lot more character of that than if you had like a capital “m” that takes up more space. So they’re doing title tags based off pixel length instead of character limit. Andrew: Interesting, same thing for the meta description too then I’m guessing. Jeff: From all the tests I’ve seen, it still looks like meta descriptions are holding strong at 156 characters. Andrew: Okay, great, perfect. You wanna keep going through on the meta and the heading? Jeff: Yeah, so that pretty much covers meta descriptions. I guess just try to avoid you know, inputting every single keyword in there because it’s really not gonna have a difference. This was you know I’d say a copywriter is gonna be a better person to write meta descriptions, than most SEO experts. Because it’s really about writing compelling copy that’s gonna get click-through rates. Next, that’s worth mentioning is header tags. So this is just the H1 tag for you techies out there, and this is usually the…when you click on a website, kinda the big bold title at the top that you see on the page itself. Now it’s been debated for the past few years, whether or not major search engines still use this as a ranking factor. But you know, since we don’t know either way, it’s helpful to kind of assume they do, and just make sure we have those that base covered, because you know you’d hate to it not to be a ranking factor and not optimized for it. So just to cover our bases, we always optimize header tags. And here you don’t have to be as, since it is such a minimal ranking factor if anything at all. You don’t have to worry about having…you know stuffing it with keywords or anything like that. You’re usually just calling it what it is, and having your target keyword mentioned once is just good enough. Andrew: Perfect, so if you have to if you have tilt one of the either the meta title or your heading in favor of optimizing for the keyword, definitely go for the title and you know maybe lean more on the copywriting side of the heading. Jeff: Yeah, exactly. A title tag is still to this day, one of the most powerful on-page ranking factors. So search engines still rely a lot of title tags, but the header tag is getting more and more minimal. So you know, you can have a little more leeway with that as far as copywriting. Andrew: Perfect, and finally what about kind of the body text in terms of working a keyword into that? Jeff: Yes, saving the best for last, content is king. So with content, my general guideline, one of the first things that people ask is “How much content is enough”. So the first thing I’d say is the more the better. So if you can have lot’s of content on a page, great that’s gonna have a positive impact on your rankings. However, you also wanna factor in that in with usability. If you have so much content that on a category page, and it’s pushing all your products down that might now, sure you might get increased ranking, but that might have a negative impact on your conversion rates. So, you know for me if you’re looking for minimum, I’d say at least 100 words but the more you have the better. Andrew: Perfect, what about if you’re running like longform content. Like for me, I’m a blog poster, if somebody’s got an e-commerce blog on a longer page like that. Is it kinda standard rule of thought now that just work that keyword just one time in the exact, in the exact format you’re trying to optimize for and you’re good to go? Because obviously the days of keyword stuffing are long long gone, haven’t worked for you know a decade or maybe even. But yeah what’s the, how optimized does it have to be in terms of getting that on-page? Jeff: So back before when Google wasn’t that advanced. You know you really people were really focused on keyword density, and there’s all these rules of thumbs like “Oh make sure you have your keyword mentioned seven percent of the time. Or make sure you have your keyword mentioned once every hundred words”. So I that’s not really an issue as much anymore because Google’s been so much better at understanding keywords and content. They’ve still got ways to go, but it’s still a lot better than it used to be. So my recommendation would be mention the keyword at least once and just write naturally. Because chances are, if you’re gonna write an article you’re gonna naturally incorporate variations as you’re referring to different terms and terminologies. So you don’t have to go too overboard, but it’s always good to spot check, and just make sure you have your main keywords mentioned once or twice. Andrew: Great, well let’s move to maybe some non-keyword related on-page optimization tactics. First one’s page speed, and this is something that and maybe for these if you can that maybe if you can Jeff give maybe a one to ten rating scale of how important this is. You know, obviously you’re guessing based on the studies you’ve seen and kind of the anecdotal results of you working with clients maybe you can give a sense of that too. So maybe we can start with page speed. Jeff: So page speed, it’s I’d say it’s only a major ranking factor if your site is very slow. So if your site’s loading in the two to three seconds you know, if your speeding up even more to one second somehow, that’s probably not gonna have any noticeable impact on rankings. It’s not as much as like a volume knob, it’s more of a light switch. It’s either you’re fast or you’re slow, and if you’re slow your rankings are gonna suffer. So it’s good to make sure your pages are loading well and I always check the homepage and the product page and the category pages, because sometimes your product pages might be slow, but your category pages are fast. So just spot checking all those places is a great way to see if there’s if there are any issues. And my favorite tool for checking page speed is called Webpagetest.org. And if you go to that, it’s going to basically run a test on your page, see how long it took to render, tell you why it took so long to render, and it’s a great way of assessing page speed. Google also has a page speed insights tool, which is great. If you have a developer, they can usually go through it and find some low hanging fruit and opportunities to improve page speed. But you know, either way, it’s always good to do something like Webpagetest.org to see how fast your pages are loading. Andrew: Is there any tool out there where you can go through and you know like SEM Rush or AREFs, you can export a lot of data at once. Anyway, you can go out and say “Hey like go to myurl.com and it will crawl that entire structure all of the you know the pages it can find and give you a report across an entire website, as opposed to just URL by URL?” Because I mean, I guess you get viego to do that, but otherwise, if you’re not it’s kind of a tedious process. Jeff: Yeah, that’s a good question. I’m sure there’s tools out there that do that. I’ve usually, what my how I approach it is I’ll check three URLs for cate-like three category URLS, three product URLs, and three blog posts or page URLs, and usually if that’s that kind of gives an indicator of what’s wrong. Because with e-commerce sites, chances are most category pages are gonna load about the same. Most product pages will load about the same. So there might be tools out there that can give you more detailed speed check, but usually doing a spot check should be good enough. Andrew: Perfect, so I’m gonna put words in your mouth and say it’s either a one issue or a ten issue, depending on how fast or slow you are. Andrew: Maybe not a ten, maybe not a ten. Jeff: Yeah not a ten, I mean this is gonna be a lower issue. I’ll put it this way if your site’s fast it’s gonna be like a two. If your site’s slow and loading over like or seven seconds, it’s probably gonna be like a six or seven. Andrew: Perfect. Let’s move on to mobile friendly. So you know it’s thoughts on mobileness in terms of ranking. Jeff: Yeah, yeah real quick for people that are looking to improve their page speed, best solution I found is Cloudflare.com. It’s actually a free tool to use and it will automatically, basically you point your server to their DNS servers and they’ll essentially be hosting their website on top of where it’s stored now. So it’s kinda adding an additional layer, and they’ll handle all the caching, compression. It has a built-in content delivery network, so for zero dollars a month you can massively increase your page speed. Andrew: Yeah, Cloudflare is amazing. The only thing is if you’re using it, and you’re using it and you’re getting ready to make a bunch of changes to your website, you can totally put yourself for a for a head spin and have no idea what’s going on because of the caching issues. So that’s the only thing to be aware of. If you use is, awesome but just be aware if you are making changes turn it off or turn the caching off there. Otherwise, it’s gonna…cause problems. Jeff: Yeah, absolutely. Yeah mobile-friendly, so this has become more and more important year after year after year. Google, we’re seeing more and more updates that are focused really on the mobile user. Because we’ve seen more and more people searching on mobile devices, and Google’s placing more importance of that, because that’s basically more their search market share. So when it comes to mobile friendly, it’s basically you have to be mobile friendly in 2017, or it’s gonna be extremely difficult to rank well. They just had an update recently called mobile-first indexing, which means they’re gonna view like if you have a mobile site and a desktop site, and they’re different, they’re gonna refer to the mobile site to assess your ranking. So if you have a desktop site that has all this great content and you know product descriptions, and you don’t have that on the mobile site because you wanna have a better user experience for mobile users, that could hurt your ranking. So they’re really looking at what does a mobile user see and billing the rankings off of that. Andrew: Great, this is what I’m really curious about freshness. And I know very little about this one, and so obviously freshness in terms of how recently was the content published? But I’m maybe you know you can talk to that generally, but what I’m also very curious about is you see a lot of people with like blog posts. They’re turn off they’ll remove the date. Or they’ll bring back an old blog post and refresh it, and put a new date on there. So does that make like, does having a date on a page make a big difference for Google? Like if they see it’s been updated or there’s a date stamp on there, does that tie in very much or is that something they pretty much ignore because they have all the caching data anyway and they can see how it’s changed. Jeff: Yeah, so if you look at the original freshness patent, which I’m sure nobody has. It basically says that it basically says that there like let’s say you take a page, and if you just add last updated and make no changes, that’s not gonna have any impact on the freshness signal. Whereas if you like let’s say you actually add a few paragraphs of content, and maybe you know you double the word count, and then you have last updated, that could have a very strong impact on rankings. So you know for sites that are producing content, and if you have a page that’s maybe rankings have fallen behind, might have gotten stale, simply adding some more content onto it. And then maybe at the top or bottom saying last updated, and putting the date you updated it, I’ve seen that to have a positive impact on rankings. Andrew: Interesting, okay great. So scale of one to ten, where would you put freshness? Jeff: I would put that at like a six, so this can be good it works very well for blog posts. Like if you have a blog post that you see a lot of traffic, and it’s kind of fallen off a bit, just adding some more content to it, adding last updated and the date can have big impact on traffic. Andrew: Interesting, sticks outside of my thought. All right let’s move onto engagement. So engagement when I say engagement, I mean Google looking at how someone interacts with a page. When they click through they land on the page, do they stick around for 45 minutes crawling through the entire site and reading everything, or do they bounce within five seconds and bounce back to the servs? How, is that something that for a while it was kinda like “Wow we think Google might do this, we’re not sure.” Like it was more of a theory, as everything at some extent is a theory. But it was more of an unproven theory. Is that…that makes so much sense to me that Google would do that. Any, I’ll let you take it from here. Where is that? Is it something that’s much more considered an actual legitimate tool for ranking well, and something Google looks at? And where would you rank it on the one on the scale? Jeff: So I would put this one at eight or nine. I think it’s extremely important because, at the end of the day, Google wants to provide the best user experience for their searchers. So if people are just using Google and they’re going to pages that don’t provide much value and they’re hitting back button, or they’re bouncing or whatever it is, there’s a load time on site. That’s gonna have a negative impact on your rankings, and if you know you could have a page that has all the lengths you know, great content, perfect optimization, but if users are hitting the back button right away, they’re not staying very long, then that could run you into some trouble. So that’s why when we talked about tile tags, meta descriptions, we’re talking a lot more about things like click-through rates, to really get people to your content, to your website. And it’s also important to have them stay on the page as long as possible. So, you know a lot of people there are some people I’ve met that don’t like to use Google Analytics, because they’re afraid that Google’s gonna use that as a ranking factor for the site, which I don’t believe. But what is kind of scary, and most people don’t talk about this, if you look at the privacy policies for Chrome, and Android, they can basically use that data however they want. So, there’s lots of SEOs that believe Google’s looking at your actual time on site, your bounce rate and other user metrics to assess how good is your website. Andrew: You know what we need? We need a Wikileaks style situation for the SEO world, you know someone like from within Google to just get really upset at someone, and just…just spill the beans. I’m sure things would change over time, but wouldn’t that be fascinating? Jeff: Well see if we can give Anonymous a call, and they can hack Google and give us some good information. Andrew: Perfect, right. That’d probably bring down the entire E-commerce Fuel site after we say this. So okay, next one. Rich, actually quickly before we move onto that. On the engagement side, if you, I mean obviously it makes a lot of sense. Sounds like it makes a lot of sense to you speculatively in terms of just intuitively that’s what Google would do in terms of rankings or it would be a large factor. Have they done many studies on this to try to reverse engineer this in terms of you know, literature or hard research that points to this? Have you seen much on it, or is it mostly still speculative even in 2017? Jeff: So in these past few years I have seen more correlation studies that show Google’s using these metrics. There’s been services that will basically search your keyword and click your listing. And you can turn it on and it’s just gonna send all it’s traffic to your website for this you know automated tool. And these tools have correlated very highly with increasing click-through rates. Now, this was a few years ago, so I don’t think it works as well, but I think Google’s still relying heavily on click-through rates and bounce rates and things like that. And also if you look at one of the biggest algorithm updates that happened recently, RankBrain. RankBrain is basically making where they’re looking so heavily on user metrics, bounce rates, engagement, as like a success metric to see how good is a page. And then kind of tweaking the algorithm to get the highest or sorry the lowest bounce rates and the highest click-through rates as possible. So, the entire Google algorithm right now is all about getting sites at the top that are gonna have the best user metric. Which is why I think it’s such an important ranking factor. Andrew: Great, moving on to SSL, where would you rate that and how important is that? Jeff: SSL is extremely minor. I think at least for now, my prediction is that it’s gonna become more and more important in the next few years. But right now in 2017, I’d give it like a two out of ten as far as importance goes. I’d still say just as a best practice, make sure you have SSL in there and redirecting all that traffic. It’s you know I give it a two because sure it’s important, and SEO we have so many ranking factors that are just a one here and a two there and a three there out of ten. But when you combine it all together, that’s where you see the benefits. So just to have your bases covered, I’d recommend making sure on HTTPS and having an SSL certificate, but it’s not gonna make or break your traffic either way. Jeff: Rich snippets are very important, I’m gonna give this a five out of ten on the SEO importance meter. And just because it can provide such a high click-through rate. You know if someone’s searching for a product, and they see ten listings and one of them has those pretty orange stars with the price and the manufacturer and they have their data and search engines, then that can have a huge impact on click-through rates. So even if you’re ranking you know number five or number four, you can still get the majority of the clicks with those rich snippets. So it can, it doesn’t have a direct impact on rankings, but it can have a big impact on click-through rates which is gonna mean more traffic for your site. Andrew: Great, anything else that we missed at all Jeff, in terms of non-keyword related on-page stuff? Jeff: I think we just about covered it. Those are kinda, if you have all those areas covered with the title tags, meta descriptions, content. If your site loads quickly and it’s mobile friendly, and you got fresh content in there, and on the product pages you have rich snippets. You know that’s all gonna have a big impact on your traffic. So it’s amazing how many of these things are overlooked, even now in 2017. So, you know if you’re listening to this, just making these changes and focusing on these areas can put you ahead of the game. Andrew: And I think you could make the argument that internal linking is kind of a form of on-page optimization. But that’s something we’ll be chatting about next week in the next podcast part two of this, this SEO series. So we’ll cover that next week. One final question here, and I have to ask it because it’s just kind of cheeky. So how do I optimize this podcast post on an on-page basis? What’s your thought process in 30 seconds, for getting the most rankings? Jeff: So if you were to optimize this podcast post, you know first thing you’d wanna do is do keyword research around things like “on-site SEO. On-page SEO, title tags, meta descriptions”, etc and find the keywords that have the highest search volume, and are also gonna be the most relevant to what we discussed when you publish it with the show notes page, you know we’d wanna have a title tag that would be let’s say we’re going after the keyword “on-page SEO”. We’d wanna have a title tag that says something compelling like “Best on-page SEO tips from SEO experts” or an “SEO expert”, something like that that’s really gonna be compelling, but also has a keyword in there. And then meta description, you know we’d really wanna say something that’s gonna provide value and get click-through rates you know on this page listing exactly how you can you know double your traffic or skyrocket your traffic with these tips. And then, with the content you know I think we mentioned On-Page SEO and a lot of things organically, so that would help. But if we were to go back and add some more keywords in there, that’s always gonna have a positive signal. And of course, just publishing it’s gonna be fresh. So that’s gonna have a big impact on rankings. I know your site loads pretty quickly, so that’s gonna be solid. It’s mobile-friendly, so that’s great. And rich snippets for this wouldn’t be too big of a factor, so I wouldn’t worry about it. But if we got all the other things covered, we should hopefully rank pretty well. Andrew: Nice, I love that was a pretty fast summary about 90 seconds there, well done. Jeff: Yeah I only had 30, I guess I went over. Andrew: We extended if for you there. Jeff this has been awesome, and quickly before you go, obviously, you’re the man behind 180marketing.com and Linkhunter.com. Can you talk quickly about those two businesses and/or pieces of software? Jeff: Yeah, so 180Marketing.com is I’m an SEO consultant, I work just with e-commerce store owners. We have a team we’ve gotten some amazing results. 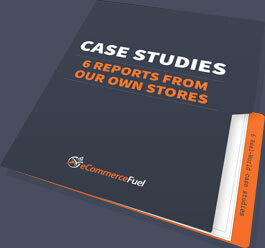 I think we got some pretty good reviews on the E-commerce Fuel form actually, and so if you’re interested you know, definitely feel free to contact me. 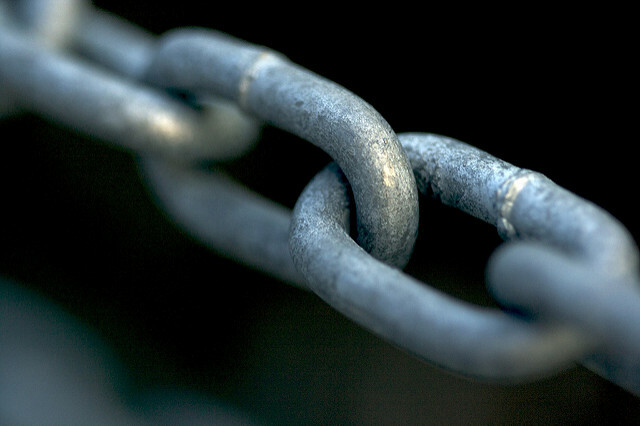 And just last month I launched Linkhunter.com, which is a do-it-yourself link building platform. So if you’re tired of spending ridiculous fees for link billing, and you have the resource to do it yourself, you can sign up basically you just enter a few keywords related to your categories and products, and it will find sites to target. It will help you with the outreach, it has built-in templates. It basically it takes all the complexity out of link-building and makes it easy enough where you can do it yourself and get some pretty good results. Andrew: Love it. Jeff thanks so much, looking forward to chatting again next week, and yeah thanks for all your time. Jeff: Yeah, appreciate it. Thanks for having me on Andrew. Andrew: Wanna connect with and learn from other eCommerce entrepreneurs? Join us in the eCommerceFuel private community. It’s our tight-knit, vetted group of store owners with at least a quarter million dollars in annual sales. You can learn more and apply for membership at eCommerceFuel.com. Thanks so much for listening, and I’m looking forward to seeing you again next time. Looking to Hire an SEO? Are You an SEO Pro? Then don’t miss the eCommerceFuel Job Board! Check out our SEO jobs to post your open position and attract top search talent or find your next compelling optimization gig. I’m new in SEO field and working on a couple of websites. Hope all the above tips help me to improve my website ranking and increase my website traffic as well Thanks mate much appreciated!